The Wall Street Journal reports its sources are saying Apple has been making key moves in setting up its own mobile payment service, to leverage its millions of iOS customers with credit cards linked to their iTunes accounts. Eddy Cue, Apple’s iTunes and App Store chief and a key lieutenant of Chief Executive Tim Cook, has met with industry executives to discuss Apple’s interest in handling payments for physical goods and services on its devices, according to people familiar with the situation. Sources also say longtime executive Jennifer Bailey has been moved to a new role within the company to build a payment business, beating out an external candidates well known in the payment industry for the job; she was formerly running Apple’s online stores. Apple has 575 million registered users with its iTunes store which it would tap into for its mobile payments service, with well over 530 million of these being iPhone and iPad users. In July of 2012, the WSJ detailed how Apple pushed ahead with Passbook and delayed its “iWallet” ambitions. When Apple registered the trademark for Passbook in Canada that year which also suggested it had future wallet plans too. 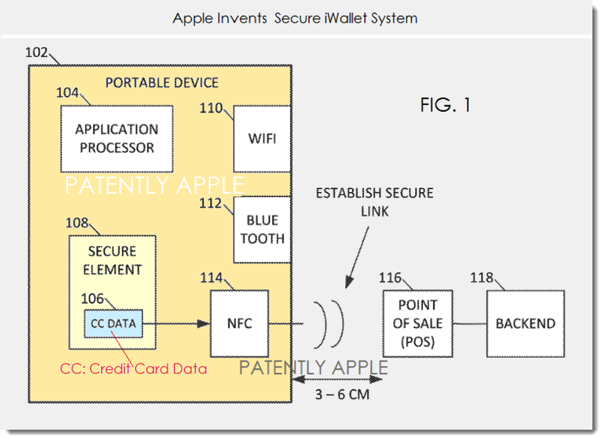 In August 2012, a patent revealed a possible clue at Apple’s payment system. Just last week a new US patent filed by Apple portrayed how a secure iWallet payment method could work, with some believing iBeacons could play a part in its implementation. Apple has resisted the implementation of NFC into its iOS devices, despite the latter being the backbone of mobile payment services recently setup in Canada by Rogers/CIBC and Bell/RBC.